Brew Lab Tea is a NYC-based company that specializes in crafting custom tea blends for restaurants, coffee-shops, hotels, and fast-casual concepts. Brew Lab Tea was founded in 2011 by Jennie Ripps. We offer innovative tea-based beverage programs that can range from iced tea programs to traditional hot tea service to tea sodas. We ideate and deliver exceptional flavor via excellent ingredients, and every client’s program is unique. 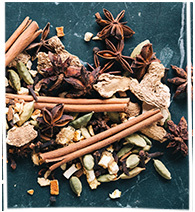 At Brew Lab Tea, we have expertise working with all types of botanicals, and in particular organic ingredients. 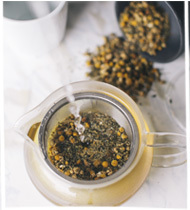 We use only whole, natural ingredients in our tea blends, and do not add flavors to our tea. We focus on seasonality and choose to blend with only good, whole, and natural ingredients. Brew Lab Tea offers each of our partners the opportunity to have an authentic and great-tasting tea program that is a true complement to their overall concept. All programs are custom and all R&D is conducted in-house at our Tea Lab.